How Welsh studio Cloth Cat Animation and China’s Magic Mall Beijing are finding common ground with their new preschool series. 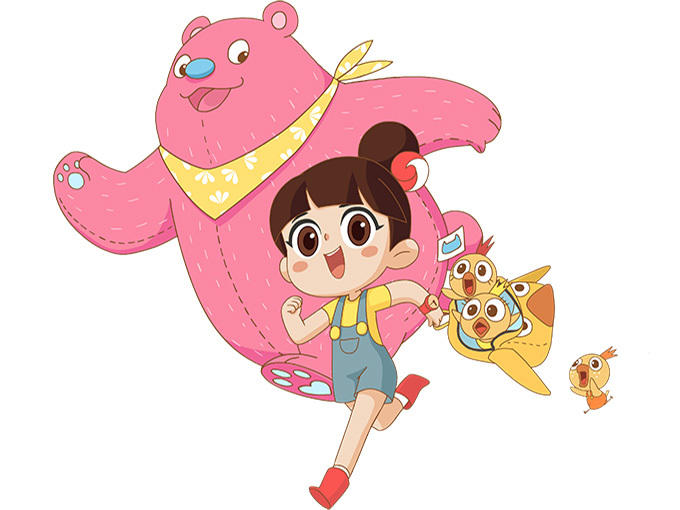 It’s not often that an animated preschool series aims to blend Chinese heritage with British humor, but that’s exactly what China’s Magic Mall Beijing and Cardiff-based Cloth Cat are attempting with their new 52 x 11-minute series Luo Bao Bei. The upcoming series is based on a little girl character created by Magic Mall general manager Grace Tian in 2008. Since then, LBB, as she’s known, has become popular as a Beijing city spokesperson and road safety icon involved in community outreach programs. Currently in production, Luo Bao Bei is set to make its Mandarin debut in China this spring before rolling out internationally in English. Cloth Cat (Boj, Toot The Tiny Tugboat) landed on Magic Mall owner DaYe TransMedia Group’s radar in spring 2016. Producer Alex Chien was looking for UK talent to hire at the Children’s Media Conference in Sheffield, England, and met with the studio. By summer 2016, the pair had agreed to collaborate. 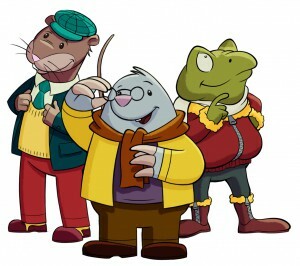 The studios are currently working on some short 30- to 90-second promotional specials and recently completed the series’ first episode, which will launch at Kidscreen Summit in Miami this month. 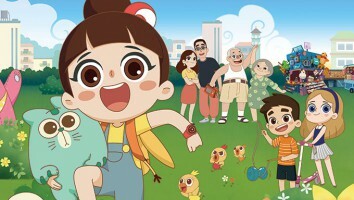 With Dave Ingham (Kazoops, Shaun the Sheep, Clangers) on board as head writer and Chien taking an executive producer role, Luo Bao Bei is taking shape as an aspirational series with international appeal. “We’re not trying to force cultural references. LBB is a modern girl who happens to be Chinese. There will be a few things included such as Tai Chi, Diablo playing and paper cutting, but the series will be more about emotion and comedy,” says Bailey, noting that the program is not set in any particular country. Additionally, LBB’s off-air role as a city spokesperson will not be a part of the show. “Magic Mall was very clear about what they wanted with the character, and we’ve swapped a lot of ideas, cultural references and observations about what would or wouldn’t work in China,” says Bailey. Reflecting more traditional Chinese family life, LBB’s grandparents in the series live next door to her parents and are quite involved in the family. “There is a generational gap where Luo Bao Bei spends a lot more time with her grandparents than Western kids might,” says Bailey. Bailey says one particular cultural challenge has been figuring out how to include Chinese festivals in the series. “They are quite unique, but seem to be less popular now in China as more Western holidays come to the forefront. In the show, we try to include more interest and passion about things like Chinese New Year and the Dragon Boat Festival,” he says. As production continues on the series, Cloth Cat and Magic Mall are looking for broadcast, distribution and licensing and merchandising partners. The companies are also eyeing China’s mobile market for opportunities. “This is the kind of project where GIFs and animated shorts will work well with the characters. Mobile is such a massive industry in China, we definitely hope to see great pick-up on it there,” he says.